Let me start with a question – How diversified your investment is? You might have invested in stocks, in bonds, in savings account and funds. Some of you even invested in real estate properties. But, that’s not all. Probably 100 other type of investment options are out there. Basically buying and anything that can appreciate in value over the time, can be called an investment. So buying a piece of art is an investment. Buying a rare wine is an investment. Similarly, there’s another class of investment, investing in web properties or websites. You don’t have to start a site from scratch, you buy sites that are already profitable. When I started this blog, I started this site from start. I bought the domain name and now slowly this is becoming a brand. One Cent at a Time is growing in terms of valuation. I am now in a position to sell this site for a very good amount. How much I invested, just $100. But I did put in a lot of sweat equity in it over the last 4 years. Here’s a guest post from George about investing in digital assets, such as web sites. Enjoy the post, and don’t forget to read my post on starting a self hosted blog in 20 minutes. Hi. 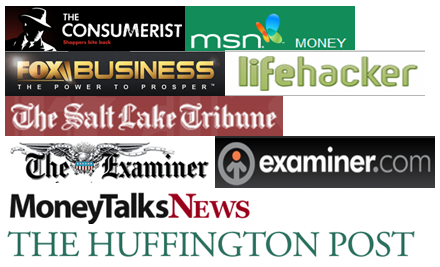 I’m George and I write about investing in digital assets at WiredInvestors.com. Today I’m going to tell you what digital assets are, some of the advantages and disadvantages of the asset class, and why you should seriously consider buying websites as a part of your investment strategy. If you’re someone who already knows a little about investing, you’re probably aware that in the current economic climate, good investment options are few and far between. Yields on bonds and CDs are near historical lows due to QE and low interest rates. Equities in the US, while not in bubble territory yet, are priced above their historical averages (the historical PE of the S&P 500 is 15x – currently it’s sitting at about 20x). International equities also don’t look all that attractive – with China’s slowing growth, emerging markets are a risky proposition, and Europe has ongoing woes that don’t look like they’ll be resolved anytime soon. Real Estate doesn’t look particularly attractive either – prices have mostly recovered from the crisis and bargains are hard to find. In this arid investing climate, savvy investors should be looking for new places to put their money. Thankfully, there is indeed one kind of asset that still looks like a bargain even in the current economic environment. The assets that I’m referring to are digital assets, and they’re all around you. In fact, you’re on one right now. That’s right – when I say digital assets, what I’m referring to is websites. 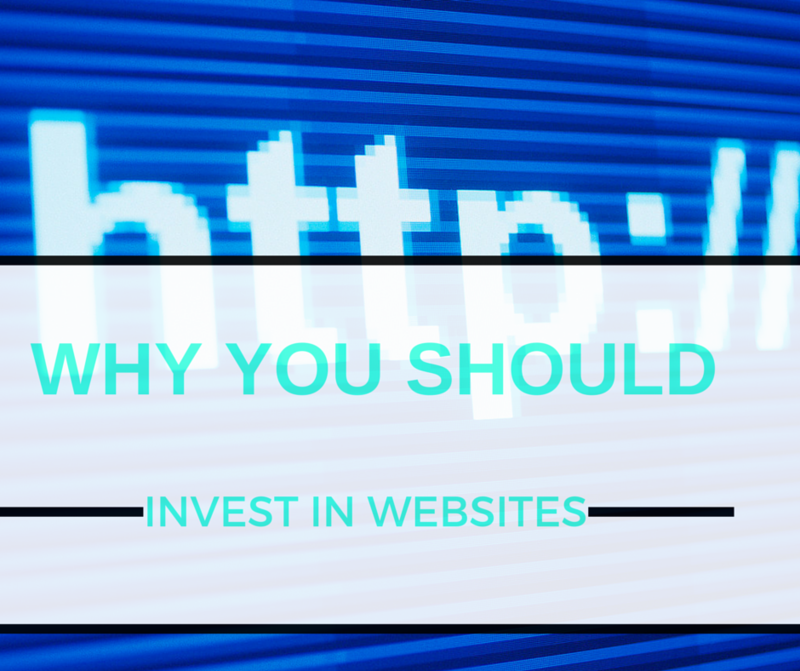 Right now, websites are one of the most undervalued types of assets that you can buy into, and there’s a good reason why this is the case. The reason why websites are pretty much undervalued across the board is because the wider investment community pretty much has no idea that it even exists. So, how cheap are these digital assets? Most reputable brokers sell websites for between 20x and 35x earnings. Now, you might be thinking that 20x doesn’t sound all that cheap – that’s around the same as what the S&P 500 is trading for right now. What I didn’t mention is that these websites are trading for 20x monthly earnings. To put this in perspective, 20x monthly earnings is equivalent to a PE of 1.67x in stock terms. If you’re comparing digital assets to bonds, at 20x monthly earnings, these assets yield about 60% a year. Compare that to current bond yields – even corporate bonds are mostly yielding less than 5%. Now, this may sound unrealistic, but bear with me. I’m going to take you through exactly what a digital asset is, how they earn money, and why I think they’re undervalued to the degree that they are. A digital asset is essentially a website that makes money. Think about all the websites that you visit each day – the vast majority of these websites are probably profitable. Ever heard of a site called Buzzfeed? That’s an example of a digital asset on a massive scale. Generally, only websites that aren’t linked to a physical store/office can be considered digital assets (e.g Target’s website wouldn’t be considered a digital asset unless it was spun-off from the brick & mortar business). This is because one of the points of owning digital assets is that you can manage them from anywhere – they’re not linked to a physical location, so anyone can take ownership of them. Digital assets can also be called web assets, web properties, or digital real estate – the terminology is inconsistent because the entire asset class is not well known or well understood. Be careful not to mix the practice of investing in websites with speculating on domains – while it is possible to make money buying and selling domains, that’s not what we’re discussing here. Well, it’s the value proposition for investing in websites is pretty clear – as an asset class, they’re about as undervalued as any type of asset can get. Imagine if there was a town where real estate prices were low, rental income could yield 60% a year (or more), and there was a chance of capital appreciation. Investors all around the world would flock to that market, pushing prices up until valuations made sense again. That depends. While it is certainly possible to earn yields of 60% or higher (as a buyer myself, my worst performing website is on track to yield about 63% annually), it’s definitely not as simple as going to a broker or marketplace and clicking BUY on everything you see. When you buy a website, by extension, you will own that website. Owning and maintaining a website takes a set of skills that most people don’t have. While the basics are relatively easy to learn, you should be very aware that if you don’t invest a little time into learning about all the aspects of maintaining a website (SEO, CRO, basic web skills), your chances of succeeding as a website investor are low. Also, higher end websites ($100K)+ tend to be ecommerce/SAAS sites, which tend to be quite complex and are mainly suitable for people who already have experienced with online business. On top of website management skills, you’ll also need to learn how to do proper website due diligence (you can read more about doing website due diligence here). While there is some overlap between website due diligence and traditional equities/real estate DD, there are also some huge differences. Again, this requires a little bit of elbow grease – if you’re not willing to put in the time, then you shouldn’t be thinking about buying a website. Websites are mostly passive investments – with emphasis on the mostly. Many websites will only require a few hours a month to maintain properly, but that’s still a few hours more than a stock portfolio might require. The website market is basically unregulated. There are definitely scammers out there, and if you’re unfortunate enough to get scammed, you have very little protection, and virtually no legal recourse. This is why learning proper due diligence is absolutely essential to success is this arena. While buying through a broker (rather than a marketplace) does offer some protection, at the end of the day it’s up to you to protect yourself. Websites don’t last as long as other types of assets – for example, if you invest in Target, you can reasonably expect it to still be around in some form in 10 years. The same is not necessarily true of a website. It largely depends on the type of site that you buy as well as how you manage it. The drawbacks that are listed above may seem daunting – and yes, there are a lot of skills that you should try and learn before you buy your first site. On the other hand, you can think about it this way – all the pitfalls that are listed above act as barriers to entry. Since only those who understand online business will be successful when investing in digital assets, it’s less likely that large financial institutions and investment funds will swoop in and push valuations upwards in the near future. Think of the digital asset marketplace as an emerging market. If you know the local system well, and you understand the rules, chances are you’ll do well, because nobody else is invested and almost everything is good value (think about the investors who got in early on China). On the other hand, if you blindly invest in an emerging market without doing good due diligence, chances are you’re going to end up doing poorly. The same ideas apply to investing in websites. The only difference is access – while there are often significant legal and political hurdles to overcome if you want to be the first to invest in a newly emerging market, the digital asset marketplace is pretty much open to all. From an asset allocation perspective, digital assets are also interesting because they generally won’t correlate to traditional investments. This makes them a solid way to diversify your portfolio. Keep in mind that I’m not suggesting that you put all your money into websites – the asset class is a bit too risky for that. However, if you’re willing to put in a little time, effort, and elbow grease, you should definitely consider allocating some % of your assets into digital assets. The asset class is grossly undervalued, and if you’re smart and disciplined, the returns can be a huge boost to your overall portfolio. About the Author: George is a website investor and writes about website investing, due diligence, and earnings optimization at WiredInvestors.com. In a past life, he was a trader at an investment bank, but nowadays he spends most of his time in coffee shops browsing reddit whilst he should be working.